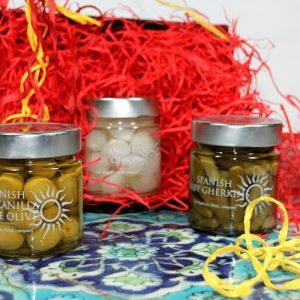 Delicioso's own brand of Spanish pickled vegetables and olives in a pretty gift tray! 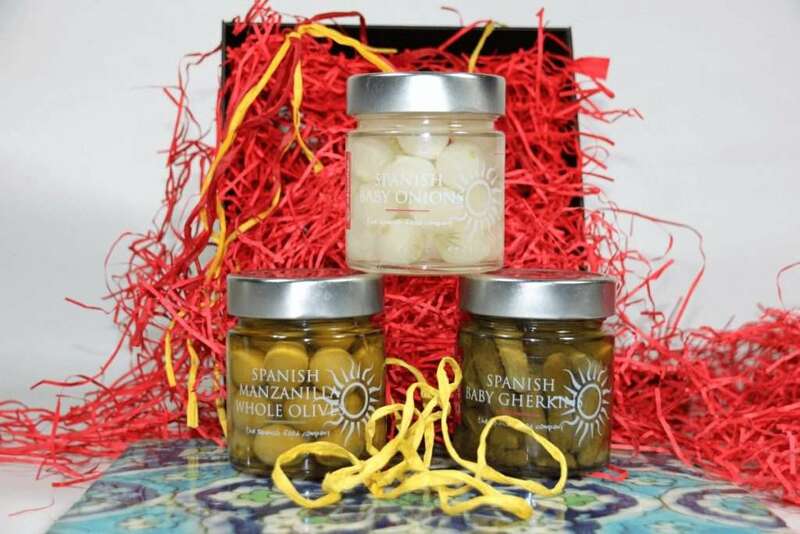 It contains whole fruity green Manzanilla olives, baby pickled onions and baby gherkins. Presented in a smart black card tray with red shredded paper, a lid to cover and hand tied with yellow and red raffia. 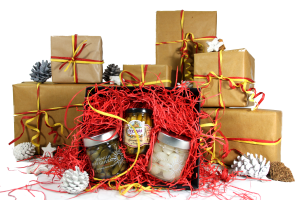 Try a ploughman's lunch, Spanish style!